What is it about salt -- well, we need it to survive, of course -- that also makes it such a humdinger of a subject for the documentary filmmaker? I am thinking, first, of Margot Benacerraf's Araya -- made some 57 years ago, but only able to be seen as it should be in its debut via Milestone Films in 2009 -- with its utterly breathtaking black-and-white cinematography and tale of the families who worked the salt flats of Venezuela a half-century ago. 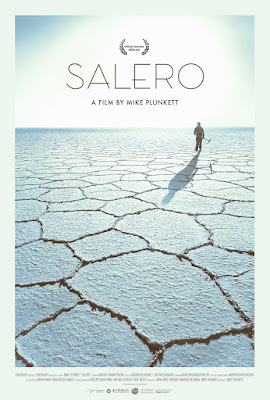 That film now has a kind of fascinating companion piece, a documentary called SALERO by filmmaker Mike Plunkett, that uses color cinematography of a salt flat in Bolivia very nearly as well, while telling the story of one of the last salt workers, the salero of the title, and his splintering family. Mr. Plunkett (shown at right), I am guessing, must be familiar with Araya, for these two films have much in common, despite the 50-odd years of space between them. What a stroke of fortune brought the filmmaker together with his subject, Moises (below), the fellow whose family, down generations since his great-grandfather's time, has worked the salt flat for sustenance. Moises calls the flat "the most peaceful place on earth," and you'll find it hard to disagree with him once you've experienced it. His immediate family, however -- particularly his wife, Nelvi -- disagrees. She wants more: money, an urban life in Chile and ever a career of her own. 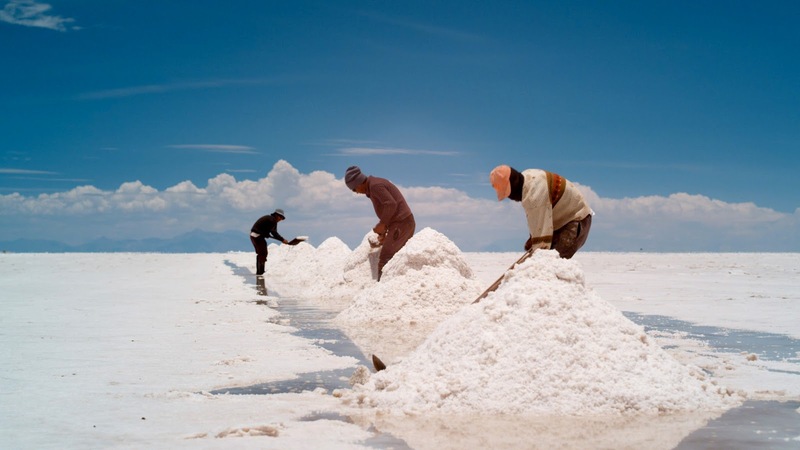 Further, the Bolivian government, under the direction of its leader, Evo Morales (whom we see and hear speak), is determined to join the 21st Century and so begins mining for lithium beneath the salt flat where Moises labors. 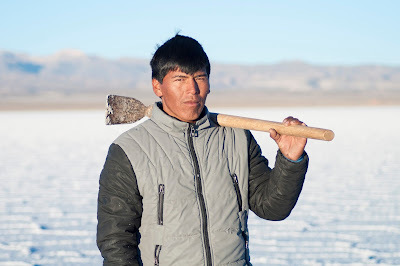 While this will be good for the greater Bolivia (and we hope not too bad to the environment at large), it will greatly impact Moises, his labor, and his family. 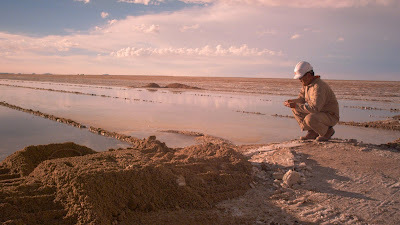 Salero makes crystal clear the deep love and connection Moises has with his salt -- even when, as is now happening, the price of that salt descends into practically an unlivable depth. Still, the salero perseveres, creating a new way to harvest -- more quickly and more of -- that salt. We see the little town of Colchani and meet a few of its people and even visit the larger and more thriving desert metropolis of Uyuni (far too big and impersonal to suit Moises). Along the way we watch and listen to Moises' interactions with his children, the most interesting and moving of which involves a morality tale of a board, hammer and nails, the hammering in and then removing of those nails becomes a metaphor for good and bad actions and their results. 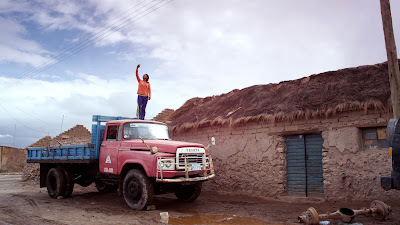 We get some history along the way -- of Spain and Colonialism -- and we're happy to see Bolivia rising from near-third-world status into modernity. 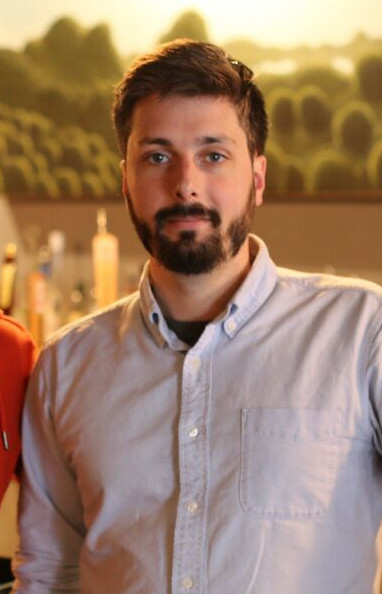 But everything has its price. 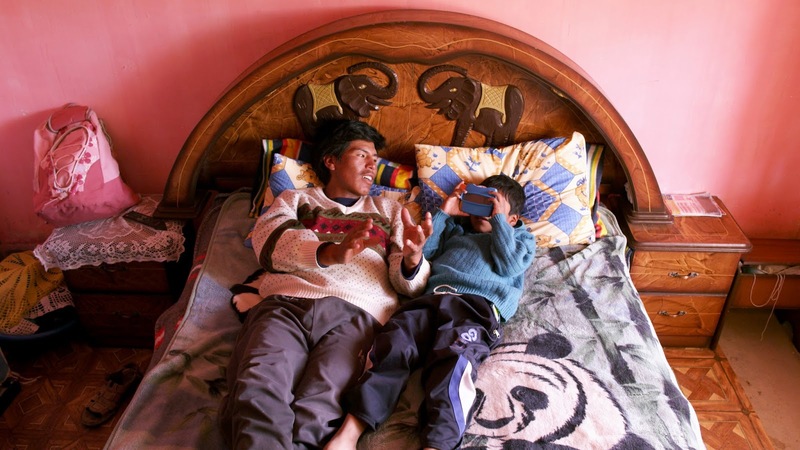 For Moises, the price is so high as to make us wonder what is to become of him. 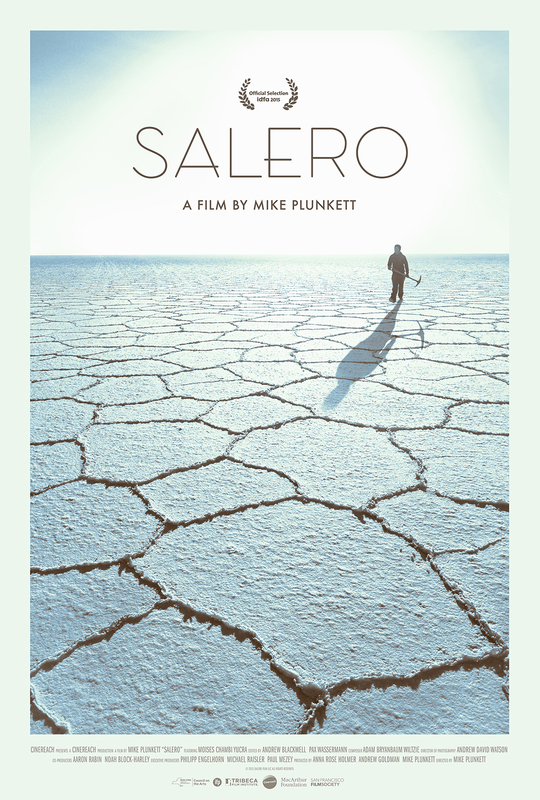 Simultaneously heartbreaking and joyous, Salero puts us dead center into that thing we like to call "progress," then leaves us to sort it all out.